Classic Mexican Hairy Porcupine Adoption Celebrity Adopt a Porcupine! 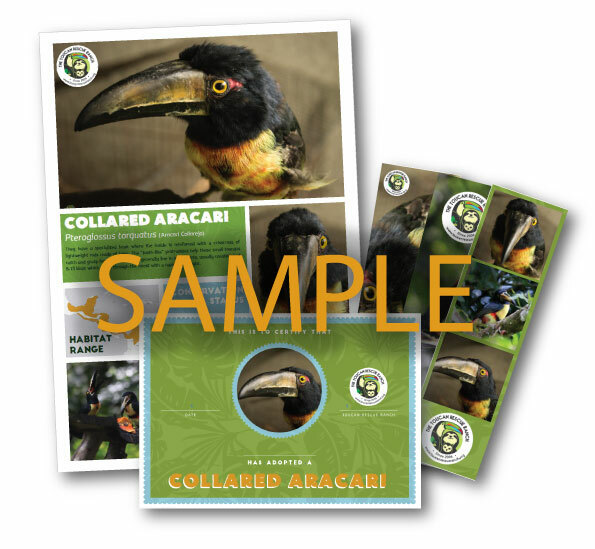 View cart “Spectacled Owl Adoption” has been added to your cart. The Toucan Rescue Ranch has rescued many Mexican Hairy Porcupines. Major reasons for its rescue is due to car accidents and dog attacks. By symbolically adopting the Mexican Hairy Porcupine you will be directly helping with the species ongoing food and care. With your donation, you will receive an ADOPTION CERTIFICATE and thank you email with your tax-deductible information. The Classic Adoption pays for your adopted species costs for roughly 3-months! Mexican Hairy Porcupines remain reproductively active for 11 to 12-years and some have been recorded to survive over 15-years. Mexican Hairy Porcupine tails are prehensile and hairless (Curled and moveable, just like a monkey!) as an adaptation for better mobility and balance for life in the trees. Mexican Hairy Porcupines cannot shoot their quills. Electron microscopy has found that the quills are actually a unique modification of the cuticle, seen only in New World porcupines.